Lëkurësi Castle offers the best views of Saranda (Sarandë) and the surrounding countryside. The walk from the town takes around an hour and it’s a steep climb, but it’s worth it. If you don’t like to walk it’s also possible to get there by taxi but walking the distance is an experience in itself. The scenery is so fantastic it’s hard not to keep stopping and admiring the view. Making the journey by taxi will rob you of the opportunity to do so. 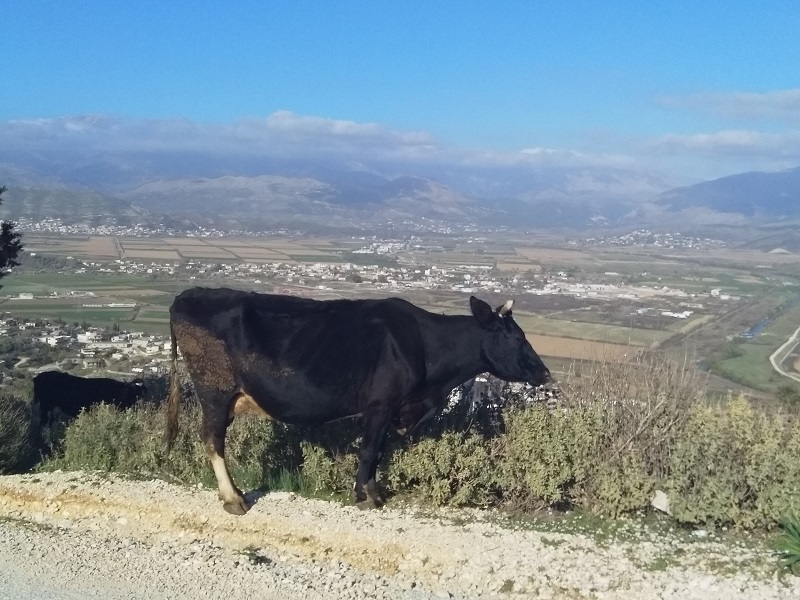 If you do choose to walk to Lëkurësi Castle, don’t be surprised if you encounter a few cows at the side of the road. The local farmers appear to let them roam free in the area and then go and collect them at the end of the day. Lëkurësi Castle was built in the early 16th century and it’s around 4km away from the centre of the town. Apparently, the castle is open to the public and even has a restaurant but, on the day I walked to Lëkurësi Castle, there was a barrier blocking the way. That’s not surprising. A lot of places in Saranda are closed in March. 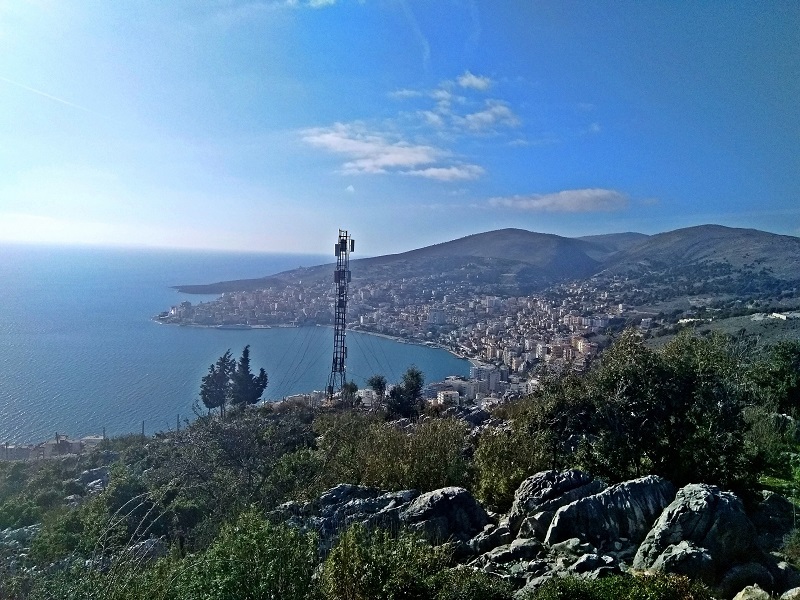 During the off-season, many activities and venues in Saranda are simply “off” the cards. The town centre is still pretty lively during the day though. If you want to keep things as cheap as possible, the off-season is the best time to go to Saranda. You just have fewer options than are available later in the year. 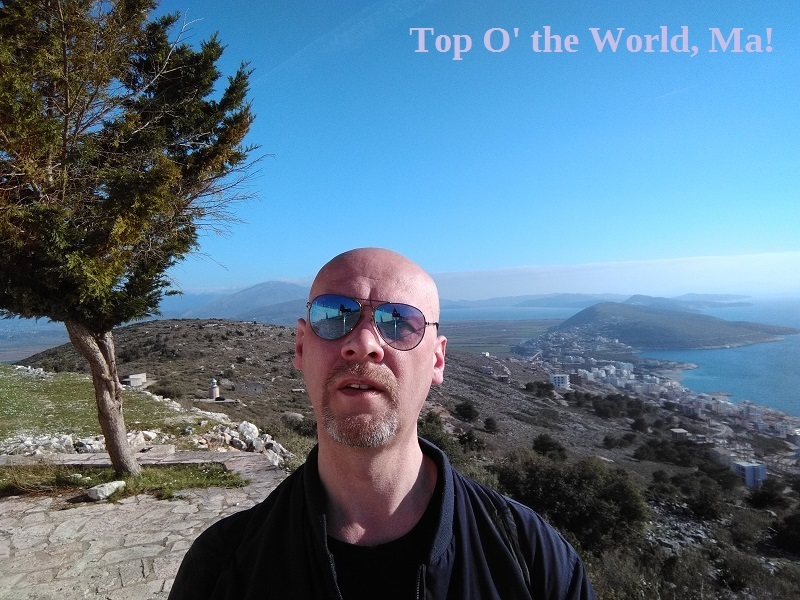 If you want to see a place that is totally dead during the off-season, try visiting the nearby town of Ksamil. 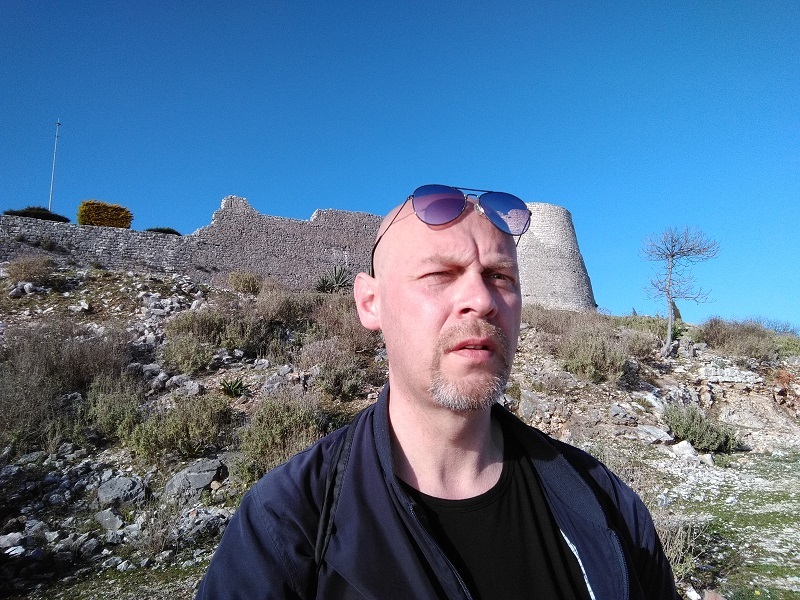 Even if you arrive at Lëkurësi Castle and find the entry is barred, it’s still possible to walk around the outer perimeter of the castle and enjoy the spectacular views. Personally, it was the views I wanted to see. 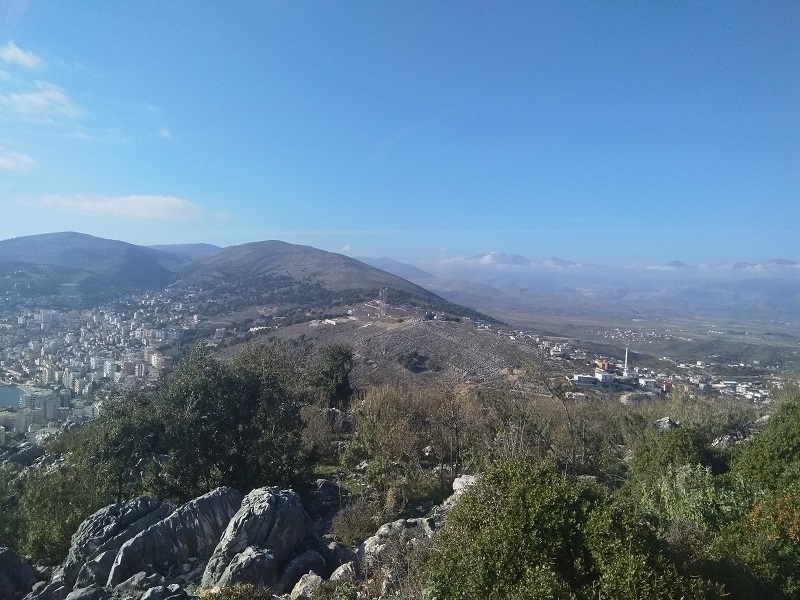 When you stand on one side of Lëkurësi Castle and look inland, you can stare over the fields and building below and see the mountains in the distance. On the other side of the castle, you can look down the town centre and the beach, along with any vessels that are parked at the ferry terminal. When you turn your head the other way, you can see the narrow mountainous land mass that separates Lake Butrint from the Adriatic Sea. Not surprisingly bearing in mind its near proximity, Lëkurësi Castle also offers a good view of the Greek island of Corfu. Lëkurësi Castle is an amazing spot to visit and enjoy the views [MAP], but if you go during the off-season you may want to take along something to eat and drink and have a little picnic. Alternatively, check with the Saranda tourist information office and see if the restaurant is likely to be open when you arrive.